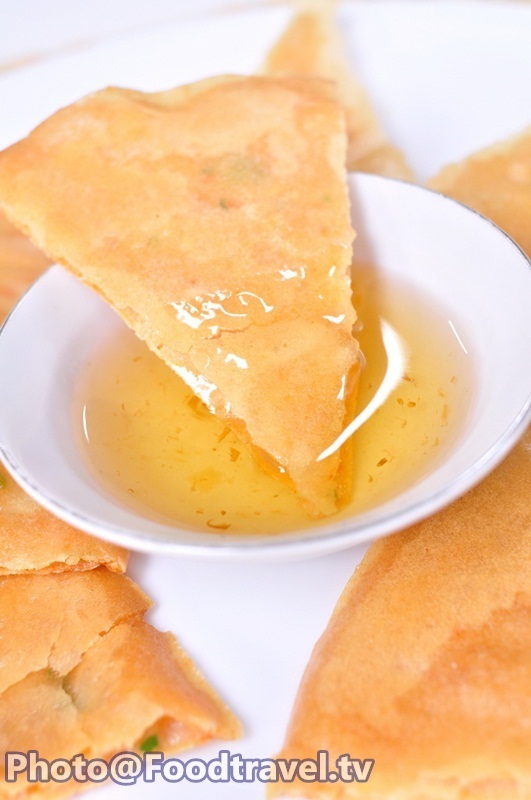 Thai Shrimp Pancake - Favorite Menu of snacks that many people like it. I have both children and adults. Live shrimp are mixed ingredients. Will be sandwiched between sheets of spring rolls and fry in hot oil until golden crisp. With plum sauce reviewer quite compatible. 1. Mix shrimp meat, tapioca flour, pepper, oyster sauce, soy sauce, white egg, sugar, carrot, spring onion and knead all ingredient well together. 2. Knead all mixture on the spring roll dough. Then cover between sheets of dough together. Compress together, and dip with fork. 3. 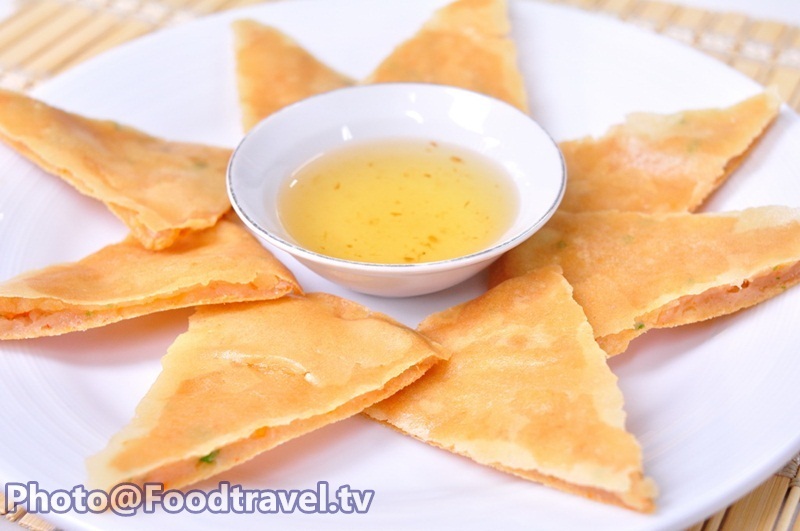 Heat oil then fry spring roll until crispy on both sides. Bring up and drain dry, then cut it immediately (cut into 8 pieces on each dish) Serve with plum sauce and ready to eat.